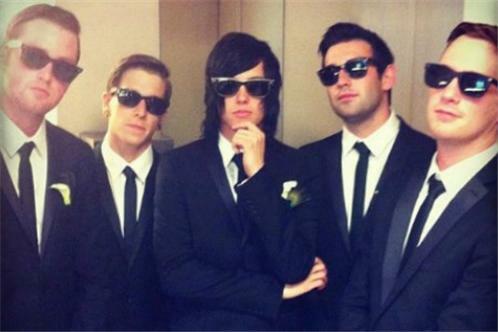 Florida as of late, has churned out dozens of young bands trying to gain recognition, but none have broken out quite as well as Orlando's Sleeping with Sirens. 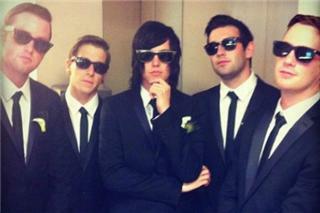 Influenced by bands like Drop Dead Gorgeous and rock bands like Dance Gavin Dance, Sleeping with Sirens finds a harmonious balance between melody and aggressive breakdowns. Having sold over 25,000 records on their debut album, 25,000 on their second, and touring nonstop, Sleeping with Sirens prove that it's entirely possible for newcomers to kick down doors and burst onto the scene. With a live energy that matches the intensity of the recording, SWS are going to be turning heads for anyone within earshot of a pair of speakers. Their new record is to be released on the 10th of May, 2011 and has sparked the intrest of many fans already! Look out for this band to rise up in 2011!